Not having a cheesy sauce option in our family has been hard. So when I found this product, I bought a trial pack and made a couple of favourite recipes I haven’t been able to make for a long time. I have found an online shop that sells it in bulk so I plan to do that and then I’ll be able to make up as much as I need without waste and always have it on hand. As an aside, I also tried the alfredo sauce they do and didn’t find it particularly appealing and neither did Jemima. This one was much tastier. Check out the ingredients here though as I know that it has mustard seed powder in it which cuts it out for Jessie’s fam. Jemima rarely eats avocado but she ate all of that ‘guacamole’ thanks to this exciting meal! I based my recipe on this one from Taste but simplified it to make it cheaper and added another vegetable. Basically I sprinkled the rinsed tinned red kidney beans, the thinly sliced green onions, some very finely diced green capsicum and/or somewhat defrosted frozen corn (we have tried both and both are great) and spread the Chreese sauce on the top tortilla before putting it together. 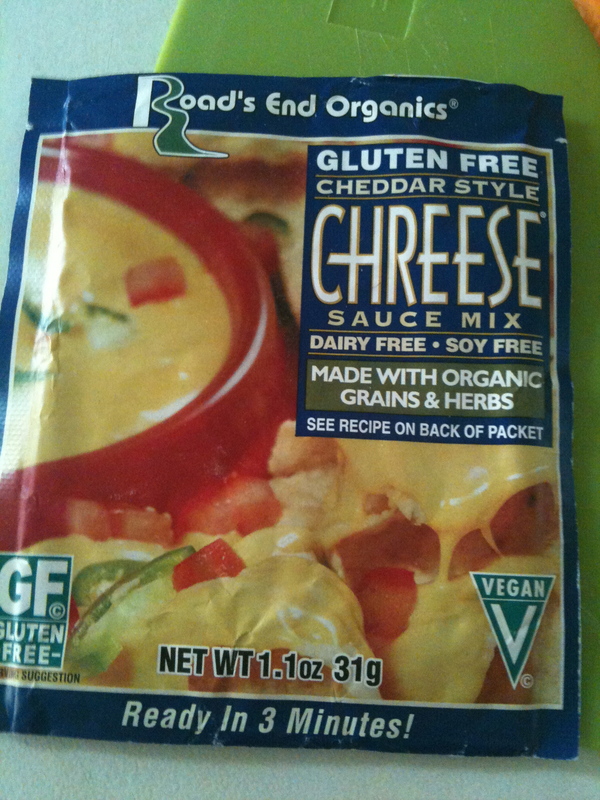 For those of us who can have dairy I just used grated cheese. Then cook them in a flat sandwich press ensuring you use either baking paper or aluminium foil around the dairy free one to avoid contamination. 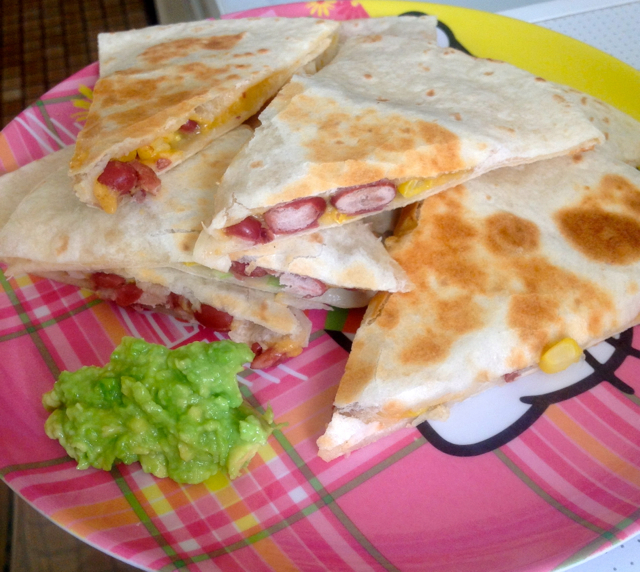 1 quesadilla is enough for an adult especially if served with salad. Serve with mashed avocado on the side and use a knife to spread a bit over the top of the quesadilla slice before eating. Us dairy eating ones also had sour cream. If you can’t have wheat, it might be worth trying Jessie’s wraps with this recipe or some store bought ones – let us know if you do. And since I finally have some blogging time, I’m going to post the other ‘cheesy’ recipe on Friday!